A bell chimes softly as you pass through a glass-paneled door into a large reception area. Seated in front of you is an elderly receptionist. He lifts his head up in your general direction, displaying an empty gaze. An elderly receptionist says, "Hello there, traveler. My name is Vanik. If'n you are here to enlist in the Archai Academy, you'll be needin' to answer some questions before I can let you pass." The Academy is the training facility of the world of Archai, located on a island off the coast of the world’s largest city, Pearl. Here, adventurers reacquaint themselves with the skills of their chosen profession and prepare for the inevitable journey to Pearl and beyond. Before you can object to Vanik’s questioning, you notice the receptionist is blind so answering these is the only way you’ll be put on record as arriving at the Academy. After a series of questions of name, race, trade, religious belief, and physical appearance, you are finally given your papers and allowed into the Academy. A journey down a strange hallway finds yourself dealing with armorers, smiths, and cooks on your way to the main Academy building. Take a moment to listen to what they have to say and accept the gifts they have to offer. It may just mean the difference in your survival. The most important thing to learn to do in Shattered Isles is communicate with others, and we’ve got plenty of ways to do it! There are in-character (IC) and out of character (OOC) ways of doing so and it’s important you understand which ones to use when communicating with other players. Here’s a rundown on the different types of communication you’ll experience. The most common of them all. There are quite a few commands used when speaking. They include SAY, SAYTO, ASK, WHISPER, and YELL. The most commonly used is SAY, which may also be substituted with the TALK command. They are interchangeable. To speak, simply use the SAY command followed by the statement you wish to make. ex. SAY I like to hunt. Some additional points to the SAY command. The first letter is automatically capitalized, as are all instances of ‘i’. A closing period is also added if one is forgotten. If you end your sentence with an exclamation mark, you will exclaim instead of say. ex. SAY i really like to hunt! Also, if you end your sentence with a question mark, you will ask instead of say. This can also be done using the ASK command. ex. SAY Would anyone like to take me hunting? If you intend your comments to be heard by a larger audience, you can instead use the YELL command. When used, your sentence is capitalized and your voice can be heard in neighboring rooms. ex. YELL someone take me hunting! and nearby: You hear someone yell to the south, "SOMEONE TAKE ME HUNTING!" Lastly, you are able to communicate directly with others, even yourself if you’re the type, by using the SAYTO command, or using SAY followed by the target’s name. It’s important to remember that at least 3 characters are needed to target someone. The more you use, the less likely you are to target the wrong person. ex. SAY qwerty will you take me hunting? Maybe you have something important to tell someone, but it’s not for everyone’s ears. That’s when the WHISPER command comes into play. You can target an individual to whisper to the same way you would speak to them, but they will be the only one to hear it. ex. WHISPER qwerty Let’s go hunting later, just the two of us. But what if you want to reach someone who isn’t nearby? Shattered Isles has solutions to that as well. Some classes and races are equipped with telepathy, allowing them to send their thoughts across the lands to another individual. In some cases they can broadcast their thoughts to the world but this is reserved for only the most powerful of minds. To do this, one must use the CONTACT command. If you are not naturally telepathic, you’ll need someone to cast a spell upon you first. Once your mind is filled with thoughts, you can then use the CONTACT command to reach out in search of someone. Perhaps your regular hunting partner. ex. CONTACT qwerty Hey are you around? Want to go hunting? You think to Qwerty, “Hey are you around? Want to go hunting? Maybe you prefer to express yourself in other ways. Body language can often say a lot more than words ever could. A timely cold stare can express to someone else exactly how you feel without saying a single word. Shattered Isles has lots of ways to get your point across. Over 300 actions currently exist that can be used in a variety of ways. A few examples would be actions like SMILE, WAVE, and SNAP. Some or more complex than others. Some can be performed while hidden and keep your identity a secret. Others are more physical and require logical things like being able to reach the target. Here’s some examples on how one might use an action. To see a full list of actions available, use the ACTIONS command. Notice the preposition is added automatically. It doesn’t need to be added to target someone, just like speech. Many actions are open ended, allowing you to enhance your experience and personalize your expressions as more than just a smile. Poiuy smiles at Qwerty with a wide grin on his face. Some actions fill in the body parts required for you, assuming you have them. Examples include SNAP, CROSS (cross your fingers), ROLL (roll your eyes), and FURL (furl your wings). Poiuy snaps his fingers at Qwerty. If the hundreds of actions we have available just don’t express yourself properly, there is the EMOTE command to cover everything else. You are limited in the fact that you cannot target with this command, but you can expand greatly upon your roleplay once you get comfortable using it. It’s important to note that you need to write these according to how others will see it, not yourself. In the following example, notice the use of ‘bends’ instead of ‘bend’. ex. EMOTE bends over to get a closer look at a bug crawling across the ground. Poiuy bends over to get a closer look at a bug crawling across the ground. how you’d see it: You bends over to get a closer look at a bug crawling across the ground. Armed with these, you should have a plethora of ways to communicate and express yourself in Shattered Isles. Nervous about how to use any of these? Use the ASSIST command and a staff member will come be your mirror for a bit. Speaking of ASSIST, there are several OOC methods of communication as well. These are strictly for use in reporting issues with the game, leaving feedback, or responding to staff members’ questions. ASSIST is the most commonly used and should be the first used when you have a question or problem that requires staff assistance. This sends a message to all active staff, and leaves a note for future staff members if no one is around at the moment. In addition to ASSIST, there are other commands that allow you to leave feedback for the staff. These include BUG, TYPO, FEEDBACK, and PRAISE. The latter is used as a way to show your appreciation for your fellow players and the staff. From time to time, a list of praises is compiled and shared with the community, leaving out the name of those who sent the praise. BUG and TYPO are used to send information to the staff about potential issues. It’s important to note that the room you are in is reported as well, so be sure and TYPO or BUG from the corresponding room you found the issue. Staff will often respond to you using the TELL command. This is strictly for OOC use when dealing with staff member questions. TELL should never be used as an attempt to ‘fish’ for a staff member’s attention. ASSIST is there for a reason and gives you more chances of success of getting a response. Staff members are often working on tasks, assisting others, or away from the game working in other windows. If contacted, you may use the TELL command to respond. ex. TELL snaek Thanks for answering my assist. I can’t find an exit out of this room. [OOC TELL] You tell Snaek, "Thanks for answering my assist. I can't find an exit out of this room." For more information on the correct usage of the OOC TELL command, refer to the Code of Conduct. Time in Shattered Isles is divided into 24 hours with 1 in-game hour equaling 1 real-life hour. Due to unseen circumstances, days may fluctuate on occasion. Scholars have yet to solve this quandary, though some attribute it to the void created by The Rift. This time cycle is referred to as Gnome Time (GT) (EDT or UTC -04:00) as gnomes are well known for their gear-driven mechanisms that can do such things as maintain a working clock. 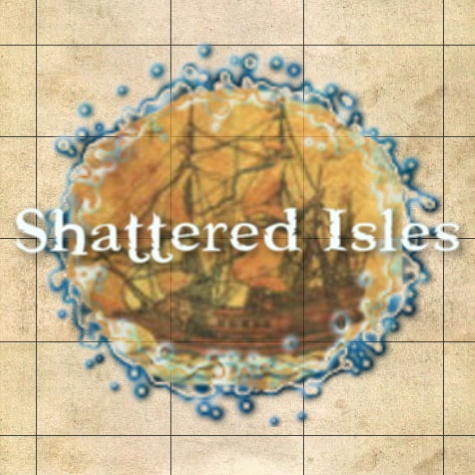 Shattered Isles also has its own names for the days of the week and the months of the year. The days are named in a way that is easy to remember yet still relates to the world. The months are named after the 6 religions of Archai with each one having two dedicated months. The days of the week are as follows: Sun Day (Sunday), Moon Day (Monday), Truce Day (Tuesday), Wander Day (Wednesday), Thirst Day (Thursday), Flight Day (Friday), and Satire Day (Saturday). The months of a year are as follows: Zephyrous (Aerthane) (January), Astraven (Astraeva) (February), Lir (Astraeva) (March), Hydrem (Kaleith) (April), Tetherian (Tetherias) (May), Pyrite (Pyrous) (June), Pyron (Pyrous) (July), Eurous (Aerthane) (August), Tenebrous (Itzal) (September), Shade (Itzal) (October), Verdi (Tetherias) (November), and Kale (Kaleith) (December). Getting around is easy with a large variety of ways to travel the world. Whether you are on foot, swimming through the water, climbing a tree, flying through the sky, riding a carriage or sailing on a boat, there's an option for everyone! In Shattered Isles, there is no movement cost, allowing you to explore freely without restrictions. You are likely to encounter areas in your travels however that require abilities such as swimming, flight, or climbing to reach your destination. All three are considered natural abilities with some races being better equipped than others. Climbing, Flying, and Swimming each have their own version of failure, from falling to struggling to advance against air and water currents, but such is true with every risky adventure. You never know what awaits for those that venture beyond the obvious exits! Directional movement on foot is the most common means of travel. While standing, type the direction you wish to move. Available exits will display below the room description in an Obvious Exits line. Granting an uninhibited view of the bustling shipping industry, a stone seawall bevels out behind a long crescent bench and creates a half-moon addition to the congested crossroads at the heart of the city. The vast water of the bay expands beyond the southern stone wall. Ships of all sizes pass by the seafront as they make their way in and out of the harbor to the south. The streets head in many directions, as well as a tunnel to the northeast. At the center of the intersection is an elegantly carved monument of a giant pearl atop a tall obelisk. The base of the centerpiece rests at the bottom of a shallow fountain that has a burning spear pointing down into the water. A small stone sundial has been carved on the rim of the fountain. You notice a wooden directional signpost. Obvious Exits: southwest, southeast, northwest, northeast, west, east, and north. Use NORTH, SOUTH, EAST, WEST, NORTHWEST, NORTHEAST, SOUTHEAST, SOUTHWEST, UP, and DOWN to move. These can be shorterned to N, S, U, NE, SW and so on for quick use. LOOK BEFORE YOU LEAP! You can see what dangers might lie ahead by using the LOOK command followed by the open direction you want to check out (ex. LOOK EAST). Other exits such as doors and gates will not appear in the obvious exits line but are often listed with other items at the end of the room description. If the door is already visibly open, you can use it by typing GO DOOR or ENTER DOOR. If the door appears closed, use the OPEN command followed by the exit name (ex. OPEN DOOR). The slight peak of the academy depository rises in the middle of its white stone face above. Only its heavy steel door offers a visual break in its bleak design. The sound of coins clattering against the wooden counter can be heard from inside. Adventurer's promptly pass by to visit the clerk to deposit their earnings for the day or exchange foreign currencies for doubloons. You notice an open large steel door. Swimming is something anyone can do by using the SWIM command, followed by a direction. Swimming is required when standing on a shore and wanting to enter the water as well as when moving along surface water or even underwater. Sometimes murky waters hide an obvious exit, so don't be afraid to explore by using SWIM DOWN. You never know what might be lurking below! Flight is restricted to those with wings such as gargoyles and sylves, as well as some air-mages that can summon elemental wings. Those with wings should use the FLY command to take off. Once in the air, you can FLY in any direction, or simply move by using the directional name. Although an obvious exit may not be apparent, nearly all outdoor rooms have skies above them that can be reached by taking flight and moving up. There is oftentimes a higher elevation still, and traveling at this upper tier accounts for 3 rooms below to every 1 traveled high in the sky. Perks of flying the friendly skies! You launch into the air with a powerful downward thrust of your wings. When you are ready to return to the ground, you must use the LAND command. Both FLY and LAND can fail depending on how dexterious and encumbered you are. Be careful not to LAND or FURL in in the sky. It's quite the plummet to the ground! You dive out of the air and land safely. Like swimming, climbing is something everyone can do, but not all races are created equally. The argali for example are excellent mountain climbers, and goblins are generally good at climbing anything they put their mind to. Sometimes you will encounter exits like ladders that require climbing to advance further. To do this, use the command CLIMB plus the direction you wish to go. (i.e CLIMB UP). In forests, it may not always be obvious but there is usually a tree that can be climbed. Climbing is not always successful though, with a failed attempt resulting in falling back to the ground. Likewise, some mountain summits can be reached using CLIMB UP to break through the clouds and reach the top. Nature is not the only place you may need to climb, as many populated cities have developed a network of rooftops that thieves use to navigate the city to avoid detection. In these cases, there is usually a window to climb out of, a stack of crates to CLIMB UP, or some lattice work that makes scaling a building possible. Because the world of Archai is filled with islands, navigating its vast oceans is a must for traveling between the main isles. Ferries operate on a schedule to transport adventurers back and forth between popular destinations. The first journey a new character takes is aboard a ferry, the Archai Traveler, when they are ready to leave the academy for the city of Pearl. Ferries can be found at most harbors and will ring a bell to signify their arrival. Their captains also announce when their next departure is nearing. Other larger ships, like merchant vessels and warships, travel on a less routine schedule. A merchant ship typically makes more than one stop, visiting multiple ports on daily trade routes. Warships go out on patrols to protect the merchant ships from pirates and other dangers lurking beneath the sea. There are also means of transportation on land that follow similar schedules, such as carriages and even mining carts that are lowered into the depths of the earth. Carriages, while sometimes slower than traveling on foot, are great for getting around a new island you are unfamilar with. Lastly, there are some individuals that have learned how to travel by use of teleportation spells and prayers. These can only be summoned in outdoor, wide open spaces and likewise must target the same. Mages can summon portals to a specific location, or gate directly to an individual so long as the target isn't indoors or underground. When summoned, one has a short window to use the portal and does so by typing GO PORTAL. Shattered Isles uses a Skill Tree System in which the vast majority of new skills, spells, and prayers are unlocked by advancing related abilities you already possess. There is no training cost to pay and no lockout times for learning something new. Each ability can be advanced from 1 to 100. You advance the level of skill by reducing its remaining uses to zero. The amount of uses required increases with each level. The first level is always free as a reward for learning how to use the skill for the first time. Levels 2 through 5 advance at 3 uses per skill attempt, while 6 through 10 advance at 2 uses per attempt. 11 through 100 advance at 1 use per attempt. Not all skills are learned through advancement. Some are quest rewards. It can be something as simple as crossing a woodsman willing to teach you how to skin an animal, or something more advanced like completing a class related quest to unlock a rare ability reserved for those who master their craft. You can view a list of abilities you currently possess in a number of ways. These include the SKILL, SPELL, PRAYER, and TRADE commands. Below are some example of what you might expect from each. An example of skills using the TRADE command. These are your gathering and crafting skills, commonly available to all classes. The combat system in Shattered Isles is manual, requiring each command to be sent individually. Two main components work together to determine the outcome of each attack, with a huge assortment of secondary stats factoring in based on the situation at hand. Your Attack and Defense are determined first by your race, then increase based on class as you advance in your Close, Ranged, or Unarmed Combat skills. These stats can be viewed using the INFO command. Every skill has a front loaded delay that is displayed after each use. This roundtime display lets you know how long the ability took to use, and how long before it can be used again. The delay length depends on how difficult or complicated the command. You swing a wooden training sword at a dirt-covered skeleton. The attack is a decent slice. Fortunately there is a combat queue that will hold submitted commands until the delay is up and you can act again. This queue can be cleared at any time by using the CLEAR command (CC or QC for short.) This is beneficial for changing tactics in the middle of a fight. The command queue will also automatically clear itself after an opponent's death. Because combat is manual, you have the ability to walk away from a fight at any time, so long as you are not hindered from doing so (Sitting, sleeping, bound etc). You can do this when your command queue is empty by entering a directional movement or by using the FLEE command. Combat actions are not without a cost. They are physically draining to your stamina. Spells and prayers tend to be more demanding than melee, but all will cause you to become fatigued after continued use. If you run out of stamina, you will find yourself too tired to continue many activities and in need of rest. You can stand around and wait for your stamina to return, sit or lie down to accelerate the process, or turn to other remedies such as rejuvenating potions. In the case of mages and priests, they are equally blessed with the ability to summon rejuvenation spells and prayers. Melee combat consists of the use of the KILL or ATTACK command, which is often supported by class specific skills designed to enhance your combat abilities. If you have a weapon wielded (See HELP WIELD) and submit the KILL command followed by a target, you will attack the target with your readied weapon. If you are unarmed, you will attempt a natural attack; most often a punch or kick. Some races such as the argali and gavials use a natural attack like horn clashing and biting instead of punching and kicking. These still work with the KILL command and require you to be unarmed. You attack a dirt-covered skeleton with a quick punch. The attack is a decent strike. Not everyone fights using a physical attack. Mages and Priests for example rely heavily on their magical and spiritual abilities, using instead the CAST and PRAY commands. For these, the caster uses the command followed by a unique word from the spell or prayer name, along with the target. A blinding ball of energy begins to form in front of you. The ball of energy transforms into a streaking bolt of lightning that strikes a dirt-covered skeleton! The bolt of lightning is a solid strike. Just like with the kill command, once you've engaged in combat you do not have to specify a target. In the example above, you'd only need to continue with CAST BOLT to attack the same target. The main currency in Archai is the gold doubloon. Its name originates from a time just after the silver coin was taken out of circulation by all the major Houses in Archai. Silver had become more valuable as a material for weapons and armor. With only one widely accepted currency, the gold piece doubled the price of many things automatically. The newly stamped gold coins signifying one world currency quickly became known as the "doubloon" because of how fast it blossomed in value. Other regions still circulated their own currency, but they eventually surrendered to the more popular and widely accepted doubloon. After the Shattering, the doubloon was adopted by the Archai Trading Company. This continues to be the currency used throughout Archai with the exception of the Isle of Kaleith. After a long naval battle against the ATC, they started trading in their own currency and no longer accepting the doubloon. Shopping in Archai consists of five basic commands that will help ensure you are buying and selling exactly what you want. More information is available on each of these via the help files. LIST, BUY, SELL, VIEW, and APPRAISE. LIST - Now that you've made some money for yourself, it's time to spend it. To see what a shopkeeper is selling, 'List' their inventory. This will give you a list of available items, and how much they cost. BUY - You've found an item you want and you've viewed it to make sure it's exactly what you're looking for. It's time to close the deal. 'Buy' the item you are interested in, but remember to be descriptive! You don't want to end up with the wrong item by mistake. The shopkeeper will accept your money and give you the specified item, thus concluding your transaction. SELL - Once you've appraised your loot, it's time to sell it. It's important to be descriptive when selling objects. Use a unique keyword from the item name, or use most or all of its name to avoid confusing it for something else. VIEW - Once you've found something you think you want to purchase, ask to 'View' it. This is a great way to make sure you are getting the right item. It also gives you additional information about the item, like its weight. APPRAISE - This is used to find out how much an item currently in your possession is worth. This is a great way to make sure you aren't selling something valuable by mistake. There are several different bank branches across the isles, but they all operate on the doubloon system. Each branch will safely store your coins and up to 300 items at no charge. Other banking options are also available to larger groups, like religions and governments. DEPOSIT, LIST, and WITHDRAW are the most commonly used commands assosciated with banking. To store an item, use the DEPOSIT command followed by a unique word or the full item name of the item you want to deposit. If you are depositing coins, simply indicate how many you wish to DEPOSIT. You deposit some battle-scarred steel armor into your account. A banker says to you, "Thank you, some battle-scarred steel armor is safe with us." You deposit 1000 doubloons into your account. A banker says to you, "Your new balance is 1000 doubloons." Use the LIST command to display your balance and any items stored. (ex. LIST BANKER). If you do not have an account with them, they will inform you and let you know the name of their branch. If you do, a current balance and list of items stored will be displayed. You review your account with a merchant banker. WITHDRAW allows you to take out a specific amount of coins or an item from your safety deposit box. If you have more than one item of the same name, you will have to WITHDRAW each of them and sort them out in your inventory. If you try to WITHDRAW something that is heavier than you can currently carry, the banker will complete the request and drop your withdrawl on the ground. The same can happen with coins if you carrying too much weight. You withdraw a polished steel broadsword from your account. A banker says to you, "Thank you for your trust." No matter your profession, everyone has the opportunity to learn trade skills. Whether it's a hobby or a way of life, everything you need is provided by the land and hard work. Raw materials are gathered using a variety of skills specific to the type of material you are looking for. These materials cannot be sold to shops in their raw form, however other players are often looking to buy large quantities of resources, or you could craft them into a finished product worth selling. New players start with two basics; Foraging and Cooking. From here new gathering skills such as Mining and Wood Chopping are unlocked by advancing foraging, and new trades branch out from there. Crafting skills are typically unlocked by advancing the related gathering skill (ex. Wood Carving is unlocked from Wood Chopping). More advanced crafters will also learn how to add detail to their finished work, such as learning Wood Staining from Wood Carving. Gathered resources can be combined into easy to carry bundles using the BUNDLE command. Individual pieces can be removed from a bundle by using the GET command followed by a specific number (ex. GET 5 BUNDLE). See HELP BUNDLE for more information. Other abilities like Skinning are learned from completing quests given by NPCs encounted in the world. These abilities are open to everyone who manages to complete the related quests and can go on to unlock even more trade skills. Skinning is a highly desirable skill used to gather furs needed for tailoring, bone for carving, and meat for cooking. For most crafting skills, new items are unlocked with each level. The final value of these crafted items is determined by the item type and the material used. Crafting can be quite profitable once you get the hang of it! Those who express an interest in becoming a merchant of the Archai Trading Company may do so after meeting a series of qualifications required by all who serve under the ATC's domain. You must submit a document to Conclave outlining what your trade would be and how it will best serve the city of Pearl. Is this something unique that Archai has never seen before, or just another apprentice blacksmith looking to peddle shoddy weapons? If you are the latter, you need not apply. A representative of the ATC must be present to accept you as their apprentice, something usually arranged prior to meeting with Conclave. As an apprentice, ou must host a series of events to prove your showmanship. It is not enough to have an eye for quality items. You have to know how to sell them regardless of quality. You will assist in 2 events along side your instructor. One peddle and one custom order. After that, you will take the lead on hosting a peddle with your instructor looking on. After your three mandatory events, you will be judged by the ATC and either given their seal of approval, or sent back for more work with your merchant instructor. If approved, you are then recognized as an official member of the ATC and have the right to purchase land to build a place of business. If sent back, it is up to your instructor to determine what areas you are lacking in. An undisclosed fee must be paid before you are to be sworn in as a representative of the ATC. If you have to ask how much, you probably aren't ATC material. Representatives of the ATC are entitled to use of the official calendar, a personal courier to announce upcoming events, gain the title of merchant, and an extra order at each custom order event. An additional amount of orders will be allowed each month, with one extra for those who also own a shop. In order to own a shop or business in the city of Pearl, one must first become a member of the Archai Trading Company. Before joining the ATC, you have to present yourself to Conclave as a formality and request permission to do business within the city. A representative of the ATC must be on hand to speak on your behalf and take you in as an apprentice. After serving your apprenticeship and meeting ATC approval, you are then finally able to purchase land on which to build your business. A player may purchase upto 3 lots of land for their business. They cannot be split up into multiple shops. An additional 2 rooms may me requested of twice the cost and requires Conclave approval. Players wishing to build an apartment or studio connected to their shop must do so within these limits. Shops include 1 shopkeeper which you design, one locked container, and two general items. Additional items can be added for a cost. You have the option to only operate during certain hours if you so choose. All shops come with protective wardings to prevent aggressive behavior. A representative of the Land & Sea Property Exchange meets with current and potential homeowners during scheduled office hours. Housing costs are based on home location and materials used, and are subject to change. The housing coordinator can let you know the current costs during your visit. Players should come prepared to their first visit with their completed room descriptions, item names and functionality, and any special requests. All submissions should be sent to [email protected], and the subject should include Housing followed by the character's name (Housing for Poiuy). Once submitted, the housing coordinator will make any necessary changes and quote you a price. Payment must be received in full before any work will begin. The entire process typically takes two months. One to receive and review the plans, and another to do the work. More complex designs can take longer. Once a job is complete, addons are tallied and you walk the property with a your builder for a final inspection. Additional building costs are settled at closing before you officially become a landowner. Each citizen is entitled to five (5) parcels of land in which to build a home upon. Housing must be located in designated areas in or around major towns and cities. Land cannot be subdivided into multiple homesteads. An additional three (3) rooms may be purchased with Conclave's approval. Currently, marriage does not allow players to combine room allotments into a larger stronghold. Ships are unavailable at this time due to ongoing events in the world. You cannot purchase land with the the intent to do business without prior approval from Conclave. Each house comes with a premium door lock. Items cannot be shared between rooms. Additional items can be purchase at additional costs. More complex functional items include a bath, a pool, a fireplace, and a fountain. Items can be blended from obvious view, but must be written into the description. Locks can be purchased for containers at an additional cost. Room echoes, teleportation wards, and spyglass/peepholes are available at an additional cost. The concept of law is not something that applies to all areas of the world we call, Archai. Different regions may have their own versions of justice, and some live in lawless societies. The Academy is a well protected island meant to serve as a safe haven for new characters to learn the ropes of their classes before setting off into the dangerous world. Many academy and harbor guards protect the citizens of the Academy from outside trouble. They may otherwise turn a blind eye to lesser criminal acts happening between students. The Academy is protected by a teleportation ward, leaving the ferry at the harbor as the only way on and off the island. There is a jail in the Academy for the truly unruly, but it is seldomly used. In Pearl, the city is under a King’s rule, enforced by Knight Marshals who are not bound by defined laws. They are charged with protecting the King and his interests, which are many. A Knight Marshal may detain someone for questioning without cause, and they alone determine which crimes are worth enforcing. Lesser guards consisting of marshals and constables patrol the city with only one real task in mind: defend the city against those who would do harm to the crown’s interests. Namely those who live outside the law. One becomes a wanted through a progressive law system enforced by city guards and other characters. Guards start taking notice of you as you commit more crimes and will eventually begin harassing you to turn yourself in or pay a fine. Choosing to run only increases their hostility toward you. If you surrender, you’ll be shackled and taken to jail, where you will either serve time in a cell or in the stocks, depending on the severity of your crimes. Eventually you lose the option to turn yourself and guards attack you on sight if spotted in the city; going so far as to alert other marshals and post sentries at each exit. At this point you are branded an outlaw of the city and certain services are no longer available, such as the conclave scribe. Merchants may still serve you out of fear, but not without drawing attention to you being in the city. Being outside the city isn’t much safer--teams of bounty hunters are always patrolling the roads in search of outlaws. Now your only options are to turn yourself in to a Knight Marshal where a penalty as severe as a public execution may await, or live out your remaining days on the run as an outlaw. One way or another, a debt will be paid, be a fine, time spent in lockup, or with your life. Once that debt is paid, you are free to walk the streets of Pearl again, though not always without scrutiny from the guards. Maybe you bit off more than you can chew. Maybe you fell flat on your face while jumping across rooftops, or plummeted from the skies because you suddenly forgot how to fly. Whatever the story is, life has come to an end. You suddenly find yourself in a timeless void with but one escape: up. Next thing you know, you’re in the cemetery of your hometown and can’t remember how you got there. None of your senses work. You can’t speak. Even a ghastly moan won’t escape your lips. You have turned into a spirit! You are now separated from your body, wandering the lands unseen and without purpose. With any luck, your deity will deem you worthy of resurrection and reconnect your body and spirit at a nearby temple. The more death you experience however, the longer it may take for body and spirit to be reconnected. How many deaths will it take for your deity to decide you're no longer worth it? While there is no permanent death in Shattered Isles, dying is not something to be taken lightly. Your character does not know he or she will always be revived. There should be some doubt as to your return. Death should be treated as if there’s a chance your deity may not find you worthy of resurrecting, and your spirit would be forever lost to wander the world. To help enforce this, some penalties have been put in place. For starters, the more times you die, the longer it takes for your body to be restored. More importantly, with each death there is the risk of having uses added to a skill at random. This penalty is a percentage of the current uses left in the selected ability. While harsh at times, these penalties are a light repercussion compared to the complete loss of a character. Permanent death or perma-death is something we will never support in Shattered Isles, unless self-imposed by a character. The good news is there is no corpse or possessions to retrieve. Once your spirit and body are reconnected at your temple, you are once again ready to face the world. Your corpse does not linger behind to be looted. You do not have to go back to your room of death to re-enter your body or collect your things. Those experienced with MUDs usually have a preferred gaming client already that offers a variety of options not usually found in games. Shattered Isles has introduced several options to enhance your gaming experience no matter what platform you are playing from. These options are in the form of customizable commands including PROMPT, ANSI, COLORSET, ALIAS, BRIEF, and PAGEBREAK. ANSI is a coded option used to render groups of text in different colors. This is turned on by default when you create a new character. We modestly use coloring to make things like items, mobs, weather, and speech stand out against the usual white text. If you prefer to use your own mixture of colors through your gaming client, you can disable this feature by using the NOCOLOR command. To enable, simply enter ANSI or COLOR. Perhaps you want to adjust the coloring of other things beyond the the default settings. This can be done using the COLORSET command. By submitting COLORSET, a menu of options is brought up. Select the number of the setting you'd like to adjust, then choose from the list of color options available. PROMPT is perhaps the most important tool at your disposal. Your prompt display is the indicator that the game is ready to receive your next command. Because this is seen often, it is a great place to list commonly referred to data. By default, new characters start with a simple display showing their character name and current position (i.e. prompt [%n (%I)]). Are you sure you want to change your prompt to: [%n (%I)] (Y/N)? HELP PROMPT will show you a list of available options to build your display. These include your name, current position, current and max health, current and max stamina, current and max carry capacity, your currency, the weather, time of day, your opponent's name and their state of health. Experienced gamers will often use the prompt as a way to populate tool bars or separate window displays with their character's vital statistics. The ALIAS command will allow a player to manage a list of command strings or lines. This allows players to create shorter keywords for activating commands which might normally require longer strings. Any command string a player enters which begins with one of the listed alias names will be replaced with the given alias value. To begin, enter the command ALIAS. Once prompted, select the option number for 'Add a new alias' and hit enter. Enter a new alias name consisting of letters and numbers only. Next, give your new alias a name 'ex. LOOT'. Alias names can be numbers and/or letters and must not contain spaces. Separate each command with a ~. Then, define what the alias LOOT will do (i.e. GET ALL~put all backpack). The alias was successfully changed. Congratulations, you've created an alias. Now simply type the command LOOT to use your new shortcut. BRIEF is a helpful command for those on a mobile device or those using a screen reader as it prevents the room description from displaying. The room title and exits, along with any items and mobs present are still visible. To see the room description while this is enabled, use the EXAMINE command. Use BRIEF again to disable. PAGEBREAK is a useful command when dealing with the lengthy scroll of things like inventory, shop lists, and your bank deposit box. To use, enter the PAGEBREAK command followed by a number of lines you find suitable for viewing before pausing the screen. If you are on a mobile device, PAGEBREAK 20 might prevent less things from scrolling by. To turn this feature off, enter PAGEBREAK DISABLE. By default it is disabled for all newly created players.